Providing an intricate combination of suction motors with innovative features, the Neato XV series of robot vacuum cleaners is dedicated to improving consumers’ lives, allowing them to spend even less time cleaning and more time with friends and family. The Neato Signature Pro robot vacuum cleaner, just like its predecessor the Neato Signature, is no different in both style and efficiency. Featuring Neato well thought out square front and low profile design, this robot vacuum cleaner bears a strong resemblance to the bottom section of a typical upright vacuum. However on a closer look, you will realize that there is in fact nothing ‘typical’ about this robot vacuum. Find out more information on what the smartest most powerful robot vacuum cleaner yet in the market has to offer. Covers a large area: Using a laser guidance to map its way about, the Signature Pro creates a plan for the most efficient cleaning route based on the furniture arrangement in the room to avoid chaotic movement. It typically starts cleaning the perimeter of the room and works in straight lines towards the interior of the room and not bouncing off furniture and walls. Simple to use: All you have to do is press a button to power it up and press another button to set the robot vacuum cleaner on an expedition. Convenient design: Not only does this robot have a tough outer shell capable of withstanding the occasional bumps against the legs of your dining table, it also has a low profile design for easier access beneath cabinetry and furniture. It has a curved edge where the exhaust vent is positioned and two metal charging strips that the robot uses when it docks to recharge. What’s more, the bin lifts conveniently out of the top of the machine eliminating risks of spillage. Scheduling ability makes cleaning easy: The Neato Signature Pro will tidy up when you are away at work or busy in your home office all that is required of you is to schedule the robot vacuum and it can even skip some days, a feature that you won’t find in other robot vacuum cleaners. It is an effective navigator: Neato Signature Pro will navigate beneath low hanging curtains an obstacle that often confuses other cleaning robots, beneath coffee tables and couches without getting stuck. Has considerable vacuuming power: Pet and carpet owners especially, will be delighted to know that this vacuum cleaning robot has big brush and a powerful suction power to match, this means that it picks up dust and debris perfectly. Has a two-stage filtration system: With this cleaning robot, you can bid farewell to all your allergies all courtesy of Neato’s efficient two-stage filtration system. Dirt picked up from the cleaner passes through 2 air filters and is in the process captured as fine dust particles and retained within the bin. Comes with a one year warranty: Neato’s customer support system is knowledgeable and always available to answer questions from customers through mail or telephone. It is noisy- Not recommended for night cleaning as it can disrupt your sleep. ​Does not have any customizable cleaning modes. ​Does not come with a remote. ​Neato’s dirt bin is a little on the small side. ​It does not have a virtual wall. ​Its battery runs shorter because of its string suction power. Measures 3.7 x 12.7 x 12.5 inches (HWD) and weighs 8.2 pounds. Features a 1.7 x 1.7 inch LCD Panel, a large start button, 4 programming buttons and a Laser guided Vision system. Has a removable dirt bin and filter assembly capable of holding 3/4 of a quart of debris. Features a patented laser-guided technology system that scans and maps the room and then plans the best course of movement. The versatile Brush System Combo and blade brush duo combo offers excellent performance regardless of the type of floor. Neato Signature Pro can get software upgrades whenever new features are available. The Neato XV Series Standard Filter- Allows you to replace filters to keep your vacuum performance at peak. Pack has 12 filters. Neato XV series high performance filter- These are filters that capture fine dust and reduce allergens in your home. Neato XV series battery replacement kit- Provides set of (2) NiMH batteries that are rechargeable. These batteries have a 6-month manufacturer’s limited warranty. Neato XV series Brush guard and squeegee- These attach easily to the underside of the robot cleaner and help keep it at peak performance. ​Neato XV Series Blade brush- offers superior performance across all floor types. Neato XV series Boundary markers – A magnetic strip that lets you decide where your vacuum can and go and where it cannot. Kit Contains 4 meters of boundary markers. Should You Buy the Neato Signature Pro Robot Vacuum Cleaner? 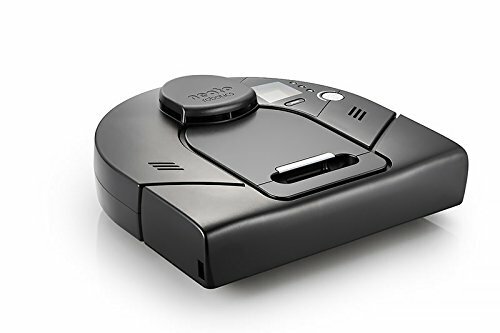 With a sleek design, excellent navigation, and strong suction power, the Neato (XV) Signature Pro robot cleaner deserves consideration from anyone thinking about buying a robot vacuum. It makes a lot of sense for people with larger carpeted rooms or pet owners, although it may not be a good choice if your pets are skittish around loud noises.